117 Beacon is located on the south side of Beacon, between Arlington and Berkeley, with 115 Beacon to the east and 119 Beacon to the west. The house was originally numbered 119 Beacon, but was renumbered as 117 Beacon by 1868. 117 Beacon was built as the home of Charles William Freeland and his wife, Sarah Ward (Harrington) Freeland. In May of 1865, at the time of the State Census, they had lived at the United States Hotel. 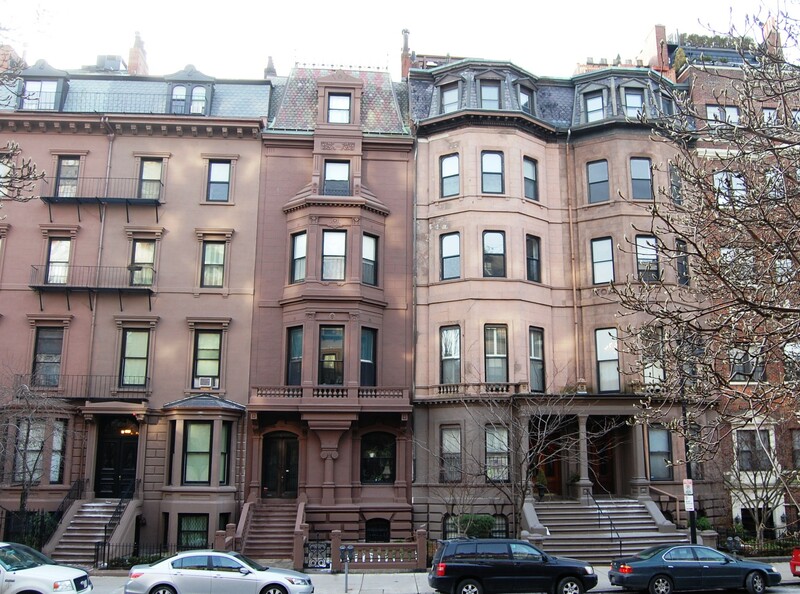 He was a merchant, cotton manufacturer, and real estate developer, credited with building a number of houses in the Back Bay. Sarah Freeland purchased the land for 117 Beacon on March 8, 1864, from Nathan Bourne Gibbs, Jr., a shipping merchant in the West India trade. He and his wife, Elizabeth Swift (Burgess) Gibbs, lived at 38 Commonwealth. The lot had originally been part of a tract of land that William Goddard and T. Bigelow Lawrence had purchased from the Commonwealth of Massachusetts on August 1, 1857. That tract included all of the land on the south side of Beacon Street from Arlington to Berkeley. Click here for an index to the deeds for 117 Beacon. Charles Freeland died in December of 1883. Sarah Freeland moved soon thereafter, probably to Milford where she died in September of 1887. The Freelands had no children and Sarah Freeland left 117 Beacon in trust for her nephew, Charles A. Claflin (the son of her brother-in-law and sister, Charles Francis Claflin and Jane (Harrington) Claflin) and her great nephews, Aaron Davis and Charles Claflin Davis (the sons of Charles and Jane Claflin’s son-in-law and deceased daughter, Charles Davis, Jr., and Agnes Maria (Claflin) Davis). The trustees were Charles F. Claflin and Charles Davis, Jr.
By the 1884-1885 winter season, 117 Beacon had been leased by Martha Mansfield (Shepard) Silsbee, the widow of Salem merchant John Boardman Silsbee. Their three unmarried children — Arthur Boardman Silsbee (a banker, shipping merchant, and textile mill executive), Martha Silsbee (an artist), and Thomas Silsbee — lived with her. They had lived at 25 Commonwealth in 1883. They also maintained a home in Beverly. 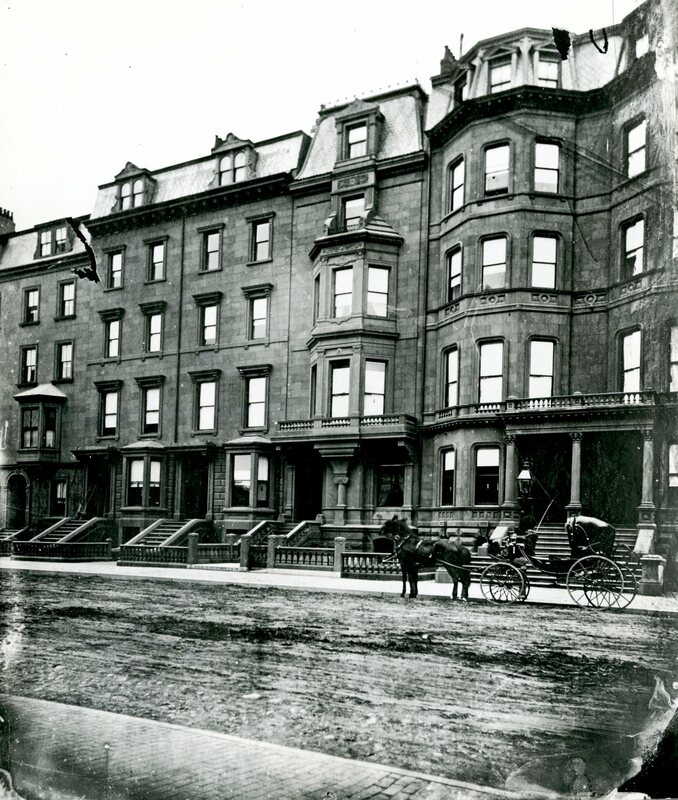 Martha Silsbee and her children continued to live at 117 Beacon during the 1889-1890 winter season, but moved thereafter to the Hotel Brunswick (southeast corner of Clarendon and Boylston). By the 1891-1892 season, they had moved to 115 Marlborough. During the 1890-1891 winter season, 117 Beacon was the home of Adams Sherman Hill and his wife, Caroline Inches (Dehon) Hill. He was a professor of rhetoric at Harvard. He formerly had been a journalist, and was one of the founders of the Independent News Room, a competitor of the Associated Press during the Civil War. By the 1891-1892 season, they had moved to 19 Marlborough. During the 1891-1892 winter season, 117 Beacon was the home of cotton buyer Edward Gray and his wife, Elisabeth (Story) Gray. They had lived at 20 Mt. Vernon, with his parents (William and Sarah (Loring) Gray) in 1890, and at 293 Beacon in 1888. By the 1892-1893 winter season, 117 Beacon was the home of Dr. Frank Mackie Johnson, a physician and life insurance medical examiner, and his wife, Olive S. (Witter) Johnson. They previously had lived at The Tudor (northwest corner of Beacon and Joy). Olive Johnson died in June of 1894, and he continued to live at 117 Beacon, remarrying in October of 1898 to Anna M. Maxham. Frank and Anna Johnson lived at 117 Beacon until about 1904, but by 1905 had moved to the Hotel Somerset. 117 Beacon continued to be owned by the trust established in Sarah Freeland’s will, and during the 1904-1905 winter season, it was the home of her great-nephew Charles Claflin Davis and his wife Margaret Bradley (Sumner) Davis. He was an attorney. They had had lived at 483 Beacon in 1904, and by 1906 had moved to The Empire at 333 Commonwealth. By the 1905-1906 winter season, 117 Beacon was the home and medical offices of Dr. Edwin A. Locke and Dr. Wilder Tileston, both physicians specializing in internal medicine and members of the Harvard Medical School teaching staff. Dr. Locke previously had lived and maintained his offices at 169 Beacon. By 1907, two additional doctors listed their offices at 117 Beacon (but did not live there): Dr. Robert G. Loring and Dr. Max Boehm. Drs. Locke and Tileston continued to live and maintain their offices at 117 Beacon until mid-1908, when they moved to 311 Beacon. 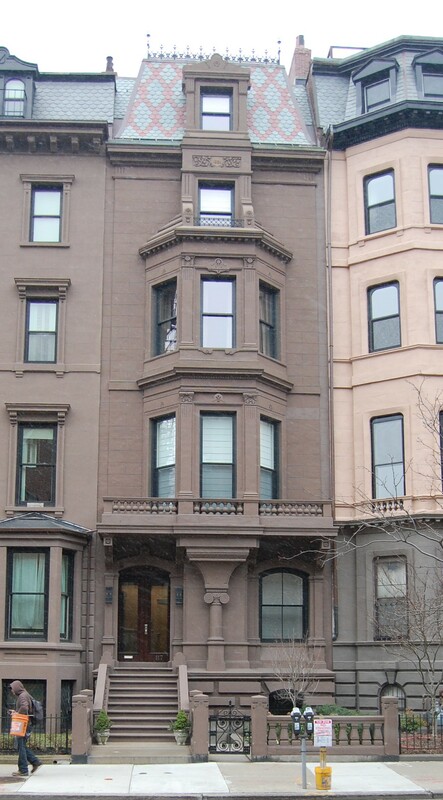 Dr. Loring also continued to maintain his office at 117 Beacon in 1908 (and to live in Cambridge). Dr. Boehm was no longer listed there in the 1908 City Directory. By the 1908-1909 winter season, 117 Beacon had returned to being a single-family residence and was the home of textile mill executive William Clarke Thomas and his wife, Helen F. (Poor) Thomas. They also maintained a home in East Hampton, Long Island. William Thomas died in May of 1909, and Helen Thomas and their three daughters — Emily, Eleanor (Helen), and Frances Thomas — moved to an apartment at 308-310 Commonwealth. By the 1909-1910 winter season, 117 Beacon was the home of Richard Batchelder Young, a stockbroker and investment banker, and his wife, Estella (Miller) Young. They previously had lived at The Charlesgate at 535 Beacon. They continued to live at 117 Beacon during the 1917-1918 season, but moved thereafter. On December 12, 1919, 117 Beacon was purchased from Aaron Davis and Claflin Davis, successor trustees of the trust established for their benefit under Sarah Freeland’s will, by Catharine Isabella (Reardon) Lyons, the wife of Henry Stephen Lyons. They previously had lived in Brookline. They also maintained a home, Boulders, at Prides Crossing. Henry Lyons was a real estate and insurance broker. He served as Secretary of the Boston Elevated Railway Company, Boston Consolidated Gas Company, and New England Coal and Coke Company, and as President of the Mystic Steamship Company. Doran Lyons married in February of 1923 to Ruth Warren Donovan. After their marriage, they lived in Newton. That same year, Ellen Lyons married Ruth Donovan’s brother, Alfred Francis Donovan, a shoe manufacturer. After their marriage, they lived at 117 Beacon with her parents until about 1929, when they moved to an apartment at 282 Beacon. In June of 1927, Henry Milton (called Milton) Lyons married to Katharine Phelan. After their marriage, they moved to Bronxville, New York. Henry Lyons died in September of 1928. His wife continued to live at 117 Beacon with their unmarried daughter, Margaret. In 1932, Margaret Donovan married to James Grote Vanderpool. After their marriage, they lived at 117 Beacon with her mother in 1933, but then moved to Prides Crossing. 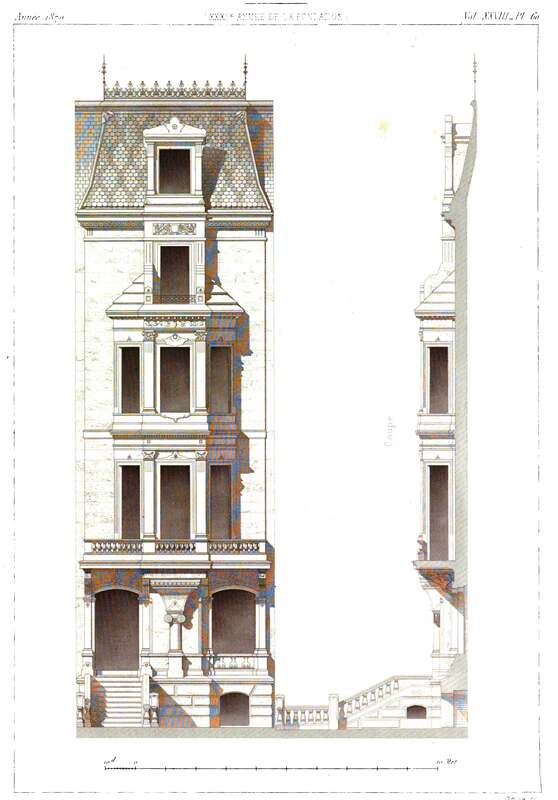 James Grote Vanderpool was an architect and architectural historian who later would serve as a professor and assistant dean of the School of Architecture at Columbia University. By the 1935-1936 winter season, Catherine Lyons had been again joined at 117 Beacon by Alfred and Ellen Donovan. On November 30, 1945, Catherine Lyons transferred 117 Beacon to Margaret (Lyons) Vanderpool. At that time, the Vanderpools were living in Urbana, Illinois, but also continued to maintain a residence in Beverly. Catherine Lyons died in January of 1951. 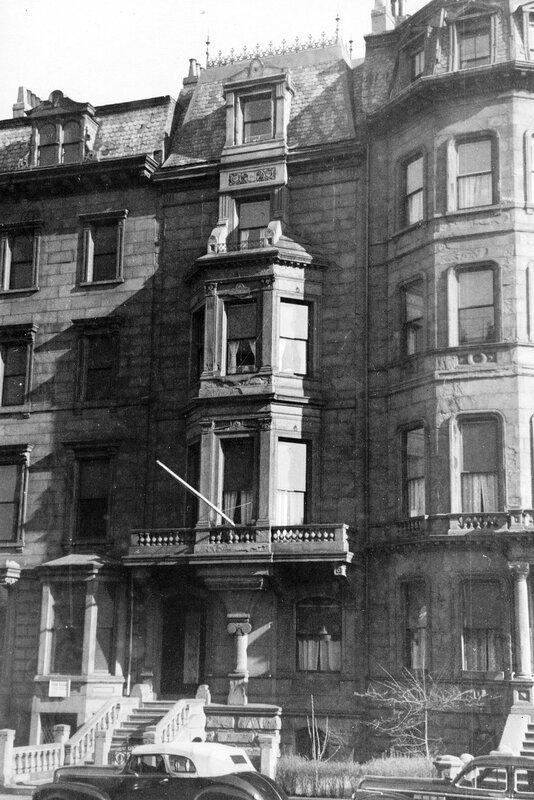 Alfred and Ellen Donovan continued to live at 117 Beacon, and on December 2, 1953, Margaret Vanderpool transferred the property to Ellen Donovan. By that time, the Vanderpools were living in New York City. Alfred Donovan died in October of 1954, and Ellen Donovan continued to live at 117 Beacon. On July 1, 1980, she transferred the house to their daughter, Catharine-Mary Donovan. On November 18, 2014, Beacon Mailsail LLC (James Keliher, manager) purchased 117 Beacon from Catharine-Mary Donovan. In May of 2015, it applied for (and subsequently received) permission to convert the property from a single-family dwelling into two units. 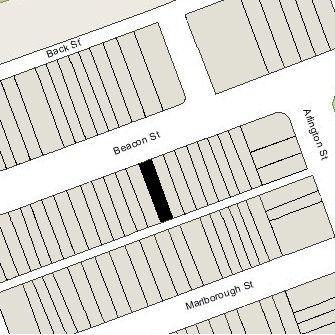 On October 26, 2016, Beacon Mainsail LLC converted 117 Beacon into two condominium units: the 117 Beacon Street Condominium.